Corporate web site for a pharmaceutical company, designed, developed, published and maintained by Crystal Software Design. Corporate web site for a web design company. 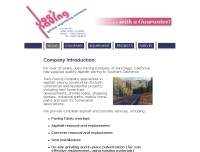 Business web site for a paving company. 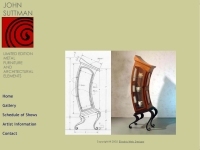 The main web site for the famous fine metal furniture artist John Suttman. Artist's web site for shattered glass artist Ann Carter.